Each of the United Bid’s 23 proposed stadiums are fully built, occupied, and operational, ensuring longterm use following the 2026 FIFA World Cup™. In addition, the United Bid has 150 existing world-class training facilities, millions of hotel rooms, and advanced infrastructure. The United Bid is expected to generate more than $14 billion in revenue and $11 billion in profits for FIFA, which will be shared with the 211 FIFA Member Associations, helping further develop and expand the game of football across the globe. "Today's vote by the FIFA Delegation in Moscow confirms what we knew all along: the United Bid submission was solid, well thought out, and delivered what FIFA needs in a host nation(s). 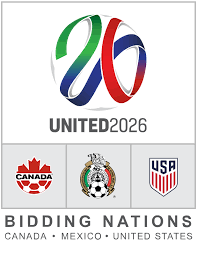 We are fortunate that Maryland could be chosen to host 2026 World Cup games and other events leading up to the 2026 FIFA World Cup™ in North America." "This is a great day for soccer in the US and for Maryland. I am excited to move the next phase of this award forward for Maryland and all our participating partners in the effort," stated Lt. Governor and Honorary Chair of the Baltimore - Maryland Host Organizing Committee, Boyd Rutherford. © 2018 Maryland Sports, All rights reserved.